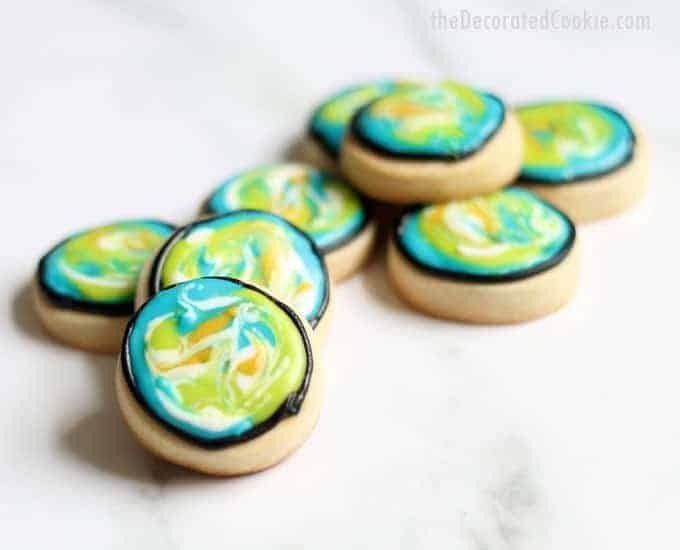 How to decorate Earth Day cookie bites, an easy Earth Day fun food idea. 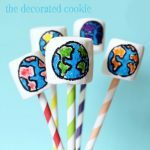 How to decorate Earth Day cookie bites, an easy (and consumable!) 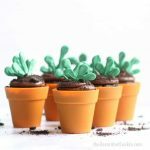 Earth Day fun food idea. 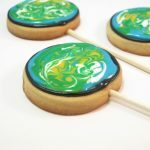 So these Earth cookie bites for Earth Day are pretty much just a small, bite-size version of my Earth Day cookies on a stick. But given I first posted those–egads!–NINE years ago (geez, I’m old), I figured they could use some updating. 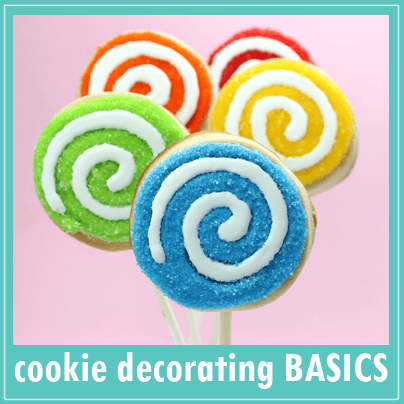 And even a how-to-decorate-earth-day-cookies video. 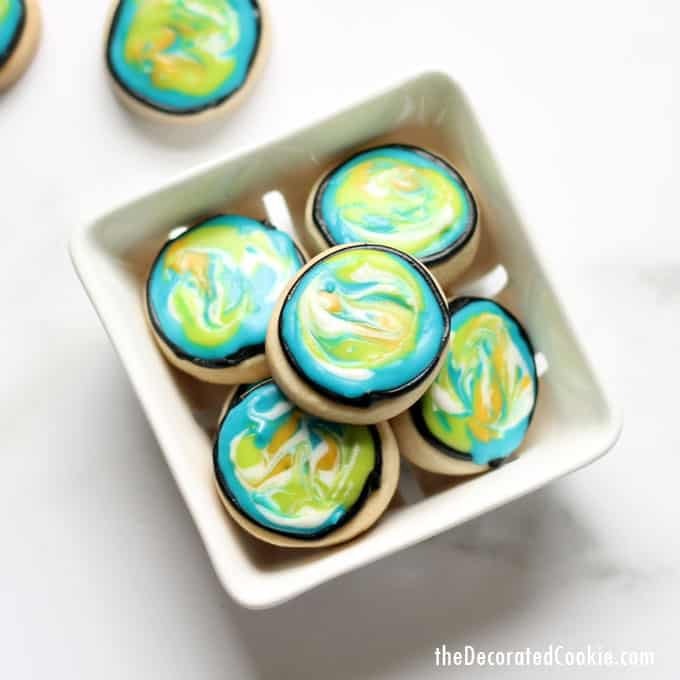 Messy here works, so these are pretty easy cookies to decorate, even for beginners. 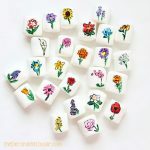 Need more Earth Day ideas? 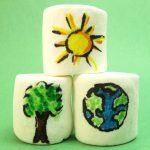 Try my rainbow Earth Day marshmallows. 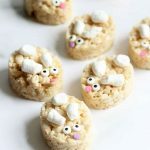 Prepare the cookie dough, chill, roll out, cut out circles, bake, and let cool completely. Prepare royal icing and divide. Color black, blue, green, yellow, and white. 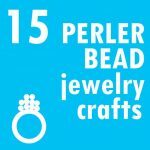 You’ll need the black to be a thicker consistency, so it holds its shape when piped. The other colors can be of flooding consistency (not too runny, just thin enough to lose its shape when piped). So prepare the icing the consistency for the black, and add drops of water to the rest of the icing as you mix in the food coloring. Fit one decorating bag with the decorating tip, fill with black, and close tightly with rubber bands. Fill the other bags with the other colors, close with rubber bands, and snip the tips. 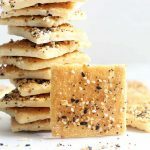 To decorate, outline the cookies in black. 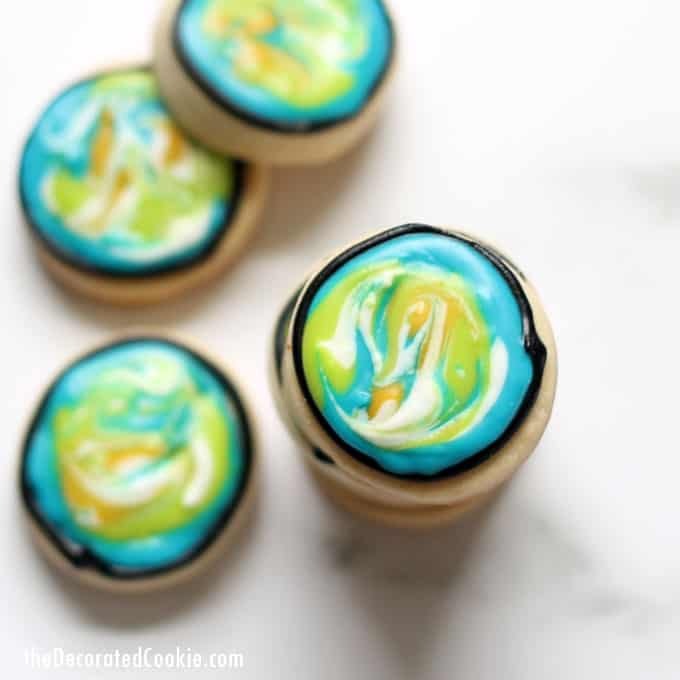 Then, working with one cookie at a time, pipe some blue on the majority of the cookie. 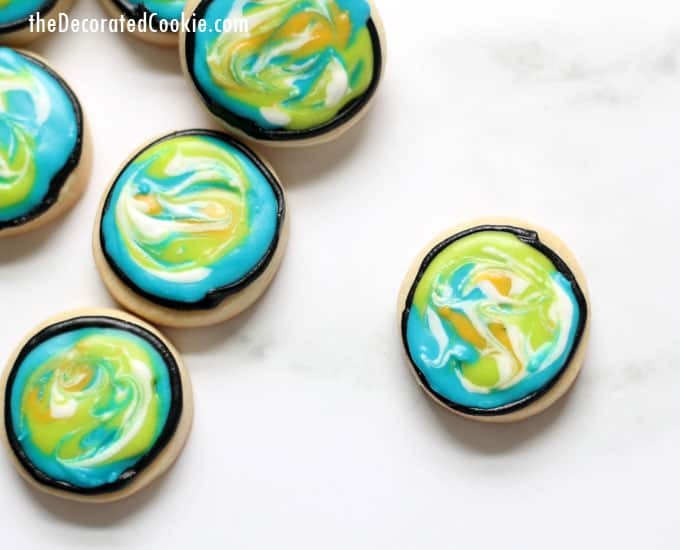 Next, add some green to the gaps of the cookie. Add dabs of yellow and white on top. 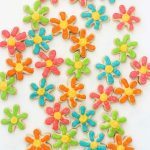 Use the toothpick or scriber tool to swirl the icing. Let dry overnight. Prepare royal icing and divide. Color black, blue, green, yellow, and white. 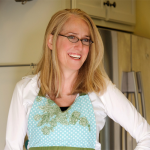 You'll need the black to be a thicker consistency, so it holds its shape when piped. The other colors can be of flooding consistency (not too runny, just thin enough to lose its shape when piped). So prepare the icing the consistency for the black, and add drops of water to the rest of the icing as you mix in the food coloring. Fit one decorating bag with the decorating tip, fill with black, and close tightly with rubber bands. Fill the other bags with the other colors, close with rubber bands, and snip the tips.